The Chauvet Intimidator Spot 100 IRC is perfect for mobile applications as it is a lightweight, remote controllable LED moving head. Compatible with the optional IRC remote for wireless, non-DMX operation and control. The Chauvet Intimidator Spot 100 IRC gives you separate color and gobo wheels ,maximizing your lighting options, while built-in, rapid-movement macros minimize programming time. You can also generate a synchronized show in master/slave mode using built in, easy-to-access automated programs or DMX control and enhance any light show with super smooth dimming and adjustable strobe speed. Chauvet Intimidator Spot 100 IRC fits best in the optional CHS-40 VIP Gear Bag for secure and convenient transportation. 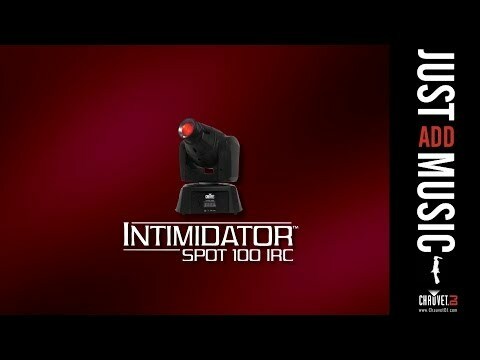 Considering purchasing the Chauvet Intimidator Spot 100 IRC? Have questions? Ask people who've recently bought one. Do you own the Chauvet Intimidator Spot 100 IRC? Why not write a review based on your experience with it. 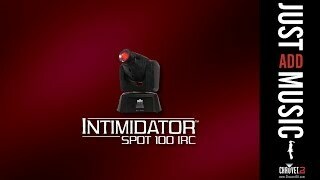 Seen a video for Chauvet Intimidator Spot 100 IRC online or have you own video? Check out Chauvet Intimidator Spot 100 IRC on DJkit.com!